← More updates for Halloween Fans! The holidays will be here before you know it! 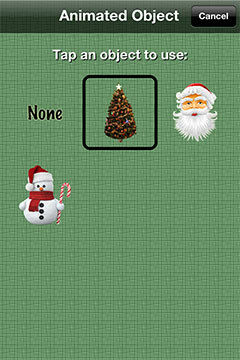 Keep track of the days until Christmas on your iPhone. 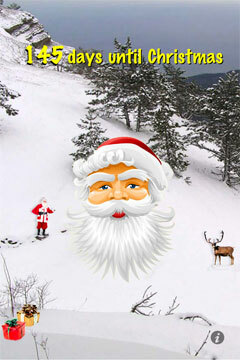 Christmas Countdown w/Music (FREE) has been updated to add a new animated object (Snowman), a new musical holiday song, a new way to pick the animated objects, and now you can see falling snow! For those Christmas fans who would like to see the app’s icon badge automatically updated with the days until Christmas via push notifications, check out Christmas Countdown Pro w/Push Notifications. Also includes the display of hours/minutes/seconds and no ads.